What’s the future of marketing? Put me down for Facebook Messenger Ads. 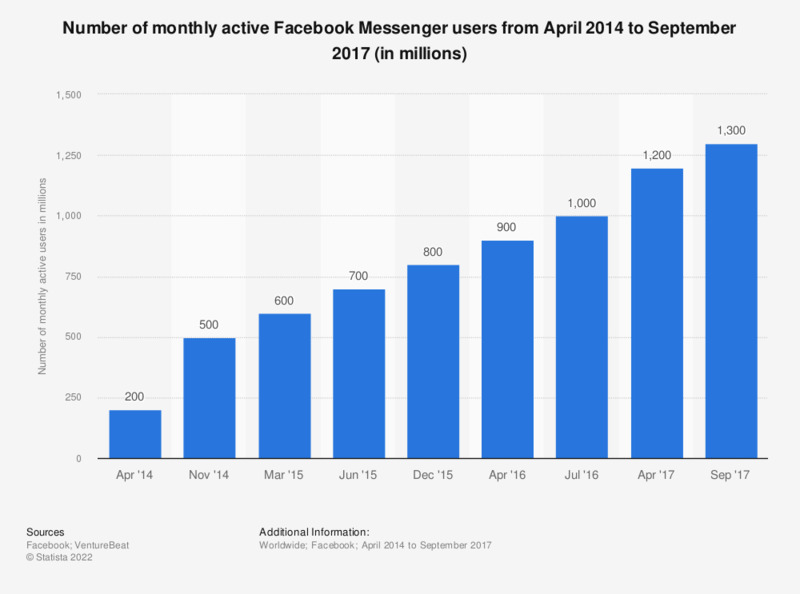 Facebook Messenger continues to grow enormously; about a billion people now use it regularly. So, roughly one-seventh of all human inhabitants of planet earth are using this app on a regular basis. With no signs of slowing. Messenger is becoming so ubiquitous some think it will eventually kill email. Maybe even texting and phone calls as well. The extent to which Messenger may slay other forms of communication remains unseen, but there’s no questioning its massive potential for marketers looking to create more personal connections with customers. I recently spoke with Mallory Walker and Courtney Singer (two of our social media experts here on staff) about Messenger Ads, which they predict will be a “big push from Facebook in 2017.” They walked me through how Messenger Ads work and how we’ll be able to utilize the platform on behalf of our clients. Here’s an overview of some new Messenger Platform features to take advantage of. One option is to create a Messenger Destination Facebook ad, which appears in News Feeds. When a customer clicks on your ad, they’re directed to a private Messenger thread, where you can start a one-on-one conversation. You can use this opportunity to tout a special offer, promotion, job opportunity, or discount, or direct them to whatever call-to-action you have in mind. Communicating via Messenger enables you to have real conversations, where you can ask questions, address concerns, and develop genuine rapport with people. Real human connection, in real time! What’s more, your conversation will be stored in your prospect’s Messenger inbox, so they can return to it at any point in the future. Here are a few more exciting features of Messenger Ads. Messenger Ads are super mobile-friendly, and geared toward people using smartphones. People can opt-in to receive messages in the future (so you can message them directly). Ad options include carousel, single image, single video, or slideshow. When you exchange messages with a customer, they’ll get pinged in their Notifications tab. So even if they don’t see your message in their Messenger inbox, they have another reminder about your conversation. I made a bold claim at the beginning of this post that Messenger Ads may be the future of marketing. I hold no crystal ball (I’ve projected the Clippers to win the NBA Championship three years in a row), but it seems clear that messaging apps will play a major role in marketing strategies for years to come. So much of marketing is about meeting people where they are (Facebook), where they’re comfortable and catered to (in Messenger, in a private thread), where they can receive helpful, relevant messaging. Messenger Ads tick all those boxes, and much, much more.